Break honey graham into bite-size pieces. Stir into pudding cup along with the marshmallows. For a special on-the-go snack, pack the honey graham pieces and marshmallows in resealable plastic bags. Fill the cooler with the pudding cups and spoons and you're set! 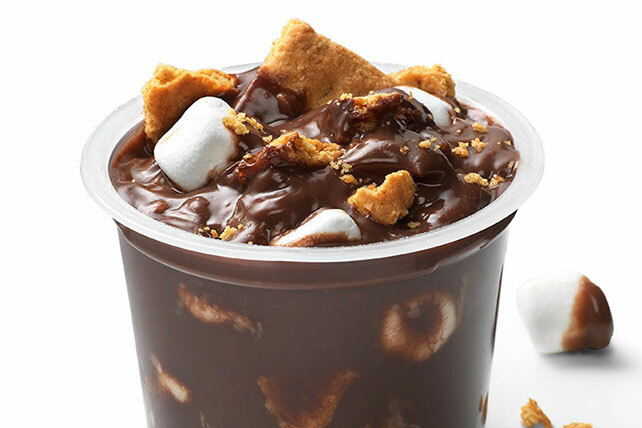 When it's snack time, just stir the graham pieces and marshmallows into the pudding cups and enjoy! Encourage the kids to create their own pudding cup combinations! Set them loose in the pantry in search of their own stir-in ideas. Prepare as directed, using mini chocolate chip cookies, broken into bite-size pieces.